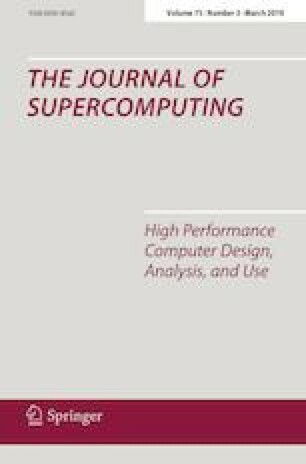 A proactive multicriteria mechanism for virtual data center optimization through server consolidation is proposed. In contrast with previous works where heuristic mechanisms were designed using expert knowledge, the new proactive approach uses multiobjective evolutionary algorithms to learn fuzzy rule-based systems that determine optimal reallocation decisions according to the preferences of the data center operator and a prediction of the load. Experimental evaluations based on an actual IT service provider show that the proactive mechanism is capable of improving energy savings compared to commercial hypervisors while complying with service provider’s preferences and constraints. The online version of this article ( https://doi.org/10.1007/s11227-018-2301-1) contains supplementary material, which is available to authorized users. This work has been partially supported by the Ministry of Economy and Competitiveness (“Ministerio de Economía y Competitividad”) from Spain/FEDER under Grants TIN2016-81840-REDT, TEC2015-67387-C4-3-R and TIN2014-56967-R, and by the Regional Ministry of the Principality of Asturias under Grant FC-15-GRUPIN14-073.